A short-term Lotuff shop just for Pop Up Flea customers. The only thing we like more than the quality goods of Lotuff Leather, is getting an exclusive offer on their excellent collection. 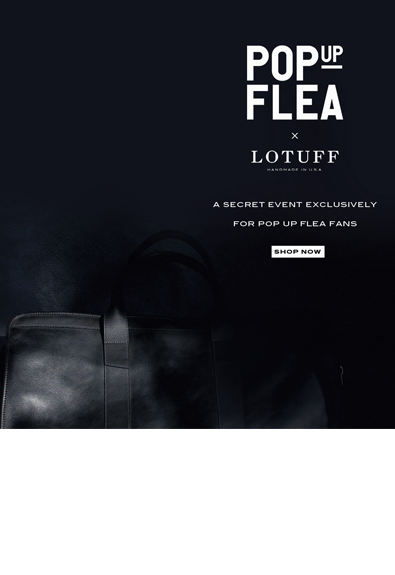 Because of their standing as a longtime member of the Pop Up Flea family, we're partnering with Lotuff on a special offer just for fans of PUF. That means you. Click here, or on the image to the right, to get a great deal on these fine American leather goods which are rarely offered at anything less than full price. Long live the little guys.